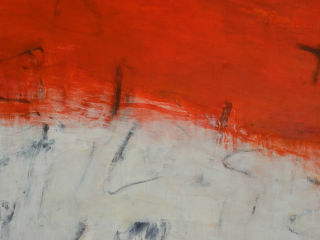 Laura Rathe Fine Art will present Quartets, a solo exhibition by second generation abstract expressionist Tony Magar. Still painting at the age of 80, Magar is one of the last surviving artists belonging to this most important, quintessentially American art movement. Quartets is a culmination of a long career and over half century of the inseparable link of the artist's work to music. Inspired by the quartets of Shostakovich, Bartok, Mozart, Ravelle, Britton and Wagner, Magar describes these paintings as colorful interpretations of "the conversations of the strings". The language of the instruments guides the paint on the canvas. The strokes of Magar's brushes echo the strokes of the bows. The results reflect an intimacy between art forms developed over a long and noted career. Following the opening reception, the exhibit will be on display through October 17.